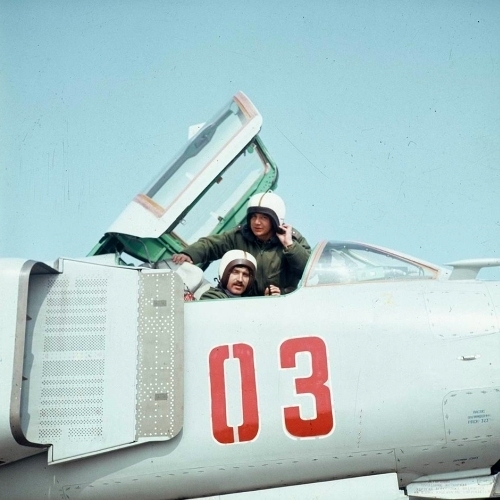 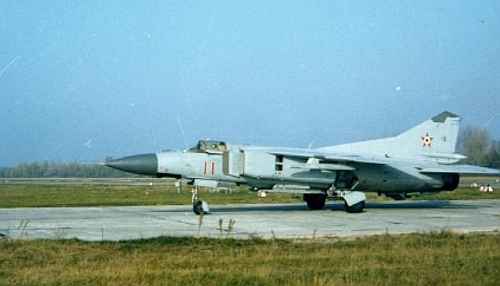 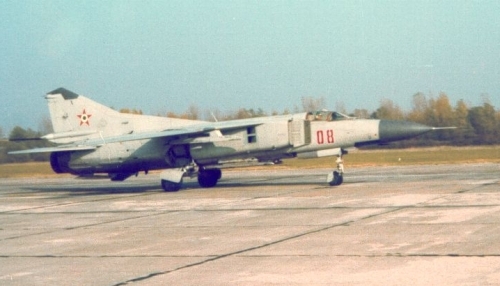 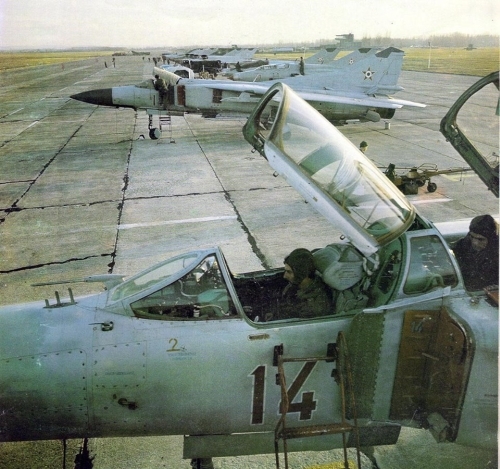 At the end of the seventies, each Warsaw Pact member country has bought a squadron of MiG-23MF Flogger-B interceptor. 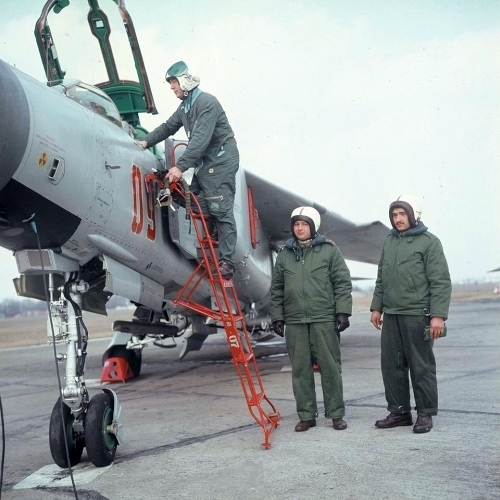 The Hungarian pilots and technical staff traveled to the Soviet Union in 1979. 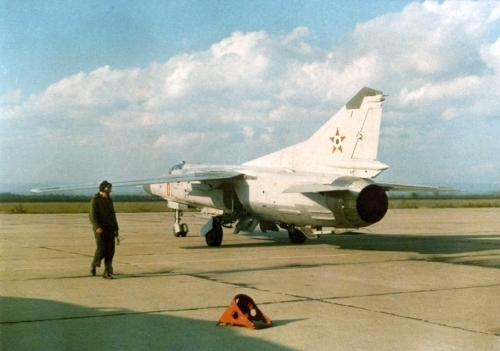 The training was held at the Soviet 5th Training Center's 715th Training Air Regiment at Lugovoj airport. 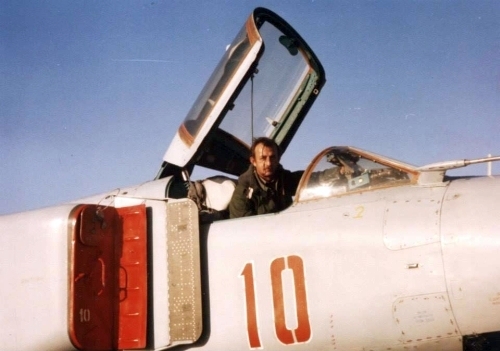 The pilot's training was held from March till June. 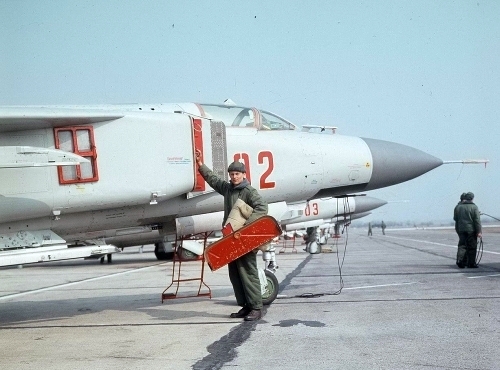 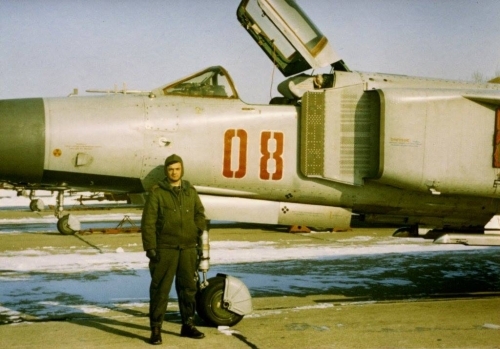 The first solo flight only happen on May 17th with a MiG-23MF. 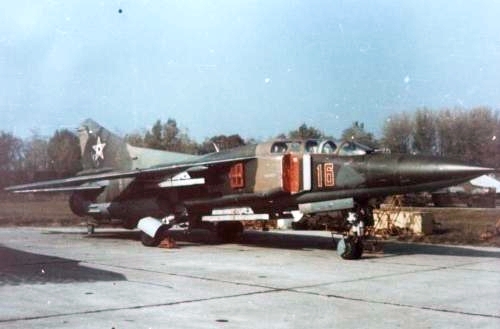 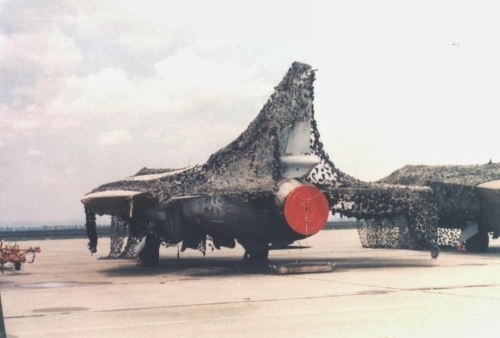 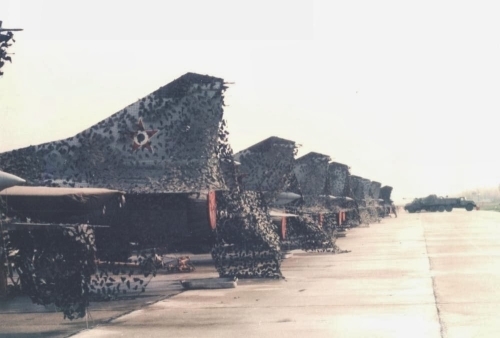 In July 1979, the first six MiG-23MF Flogger-Bs and MiG-23UB Flogger-Cs arrived in Hungary. 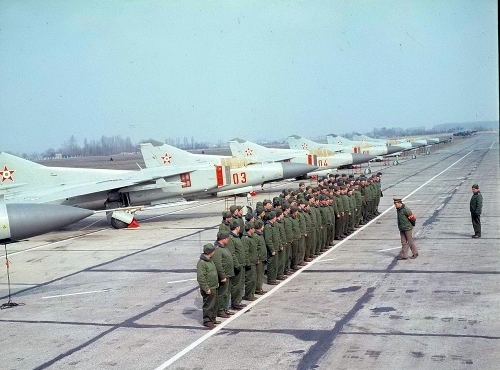 A total of 12 MF and 3 UB were received by the 47th Home Air Defence Regiment's first squadron. 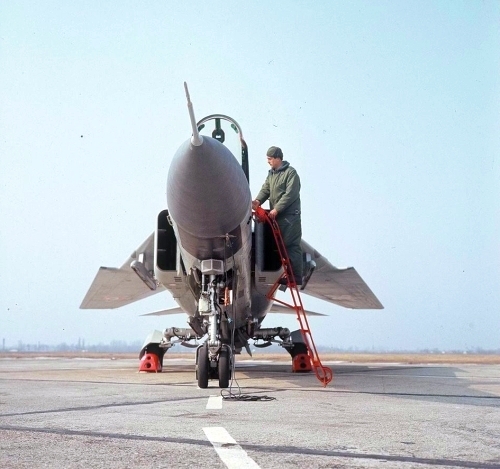 August 25, 1979, was the first training flight held. 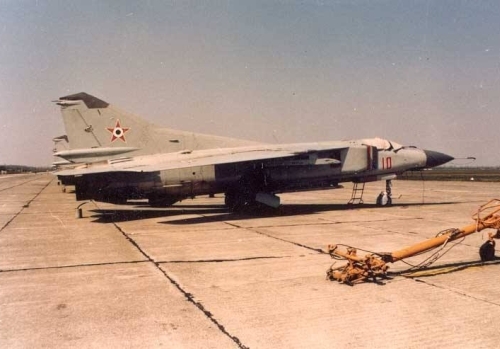 The new MiG-23 had it's first alert on December 29th, 1980 by the Hungarian pilots. 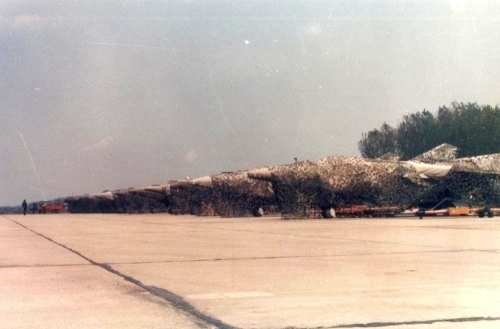 The training's last task was the live-fire training. 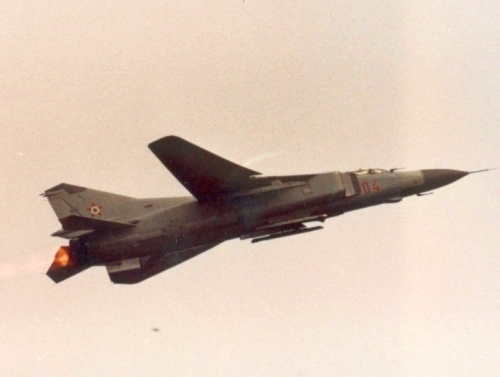 In August 1982, at the Soviet 116th Training Center at Astrakhan, the Hungarian pilots fired with R-23 Apex medium-range air-to-air missiles.